Pets are a special addition to the family or your individual life. They offer companionship, friendship, security, and happiness. Pets are loyal creatures, and most people have grown to love them more than anything else. While it’s great to own a pet in your home, it is important to remember that they come with responsibility. Pets need love and care to promote their health and to keep them with you much longer. To help you care for your pet the right way, here are five toxic foods to avoid feeding pets. Alcohol. Humans can consume alcohol with almost no complications, but pets have a different response. The ingestion of alcohol into your pet&apos;s body can cause a drop in blood pressure, blood sugar, body temperatures, and much more. It can also lead to seizures and respiratory problems. Keep alcohol and foods that contain it far away from pets, especially in your absence. Fatty Foods. It may seem proper always to allow your pet to have a piece of every junk food you eat, but it is detrimental to their health. Fat-containing foods such as fried chicken, ribs, steak, hot dogs, and burgers can cause vomiting or diarrhea in pets. Pancreatitis equally affects most dogs that consume fatty foods. Raw Foods. Most raw foods need proper washing to avoid food poisoning. If your pet eats raw meat, fish, or eggs that are unwashed, uncooked, or handled unhygienically, they can get infected with bacteria and fall ill. A sick pet is no fun to themselves, or you and they are hardly excited to visit the veterinarian for treatment. Chocolate. Chocolate always appears as such a sweet treat, but it is one of the most hazardous foods to pets. It often contains a substance called theobromine which causes seizures, diarrhea, vomiting, and more fatal health complications. Dark chocolates are dangerous too, and their effects increase depending on the size of the pet. Onions and Garlic. Onions and garlic contain a potent substance called thiosulphate that is lethal to pets. Ingesting it damages the red blood cells and leads to anemia. Even in small amounts, onions and garlic can compromise the health of your pet. Make sure not to include them in their meals or treats you give them. Take special precautions to avoid any foods dangerous to your pet’s health. If you&apos;re new to the neighborhood, make an effort to find your nearest veterinarian or veterinary hospital so that you&apos;ll know where to go if your pet eats something that disagrees with them. 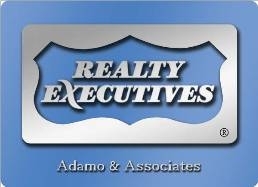 I specialize in residential and second home property sales in the Tampa Bay Area. My experience in finance, contracts, negotiation and marketing can help you to buy or sell a home. I am an Accredited Buyer's Representative (ABR®) and a member of the Real Estate Buyer's Agent Council (REBAC). I am also certified in handling short sales and foreclosures (SFR®). Before my career in real estate, I was an award-winning marketing executive for several Fortune 500 companies in the New York-Metropolitan area. My executive success was driven by customer satisfaction. The cornerstone of my real estate success is built upon understanding the needs of my clients - home buyers and sellers. I pride myself in remaining "at your service" to provide an exceptional experience and seamless transactions.